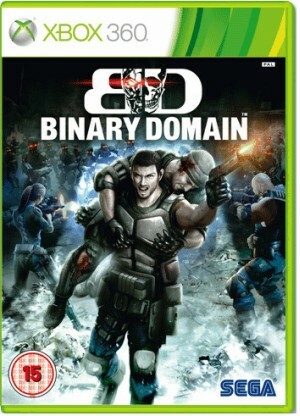 Binary Domain takes you to Japan in the year 2080, where you’ll need to regain control as a robotic threat threatens to take over, leaving humanity obsolete in this intense 3rd person squad based shooter from the brilliant mind of Toshiri Nagoshi..
As Dan Marshall, you and your squad must rise to the challenge and stop the mechanical menace before it’s too late. But when is too late? You’ll encounter highly intelligent enemies that will have you thinking on your feet as they try to outmanoeuvre you at every turn as they try to stop you and your team. You’ll need to think fast and shoot faster as you guide your earn through real-time moral decisions and earn their trust in order to lead them more effectively.